Mince pies and a cup of tea or mulled wine are the perfect treat for counting down to Christmas. 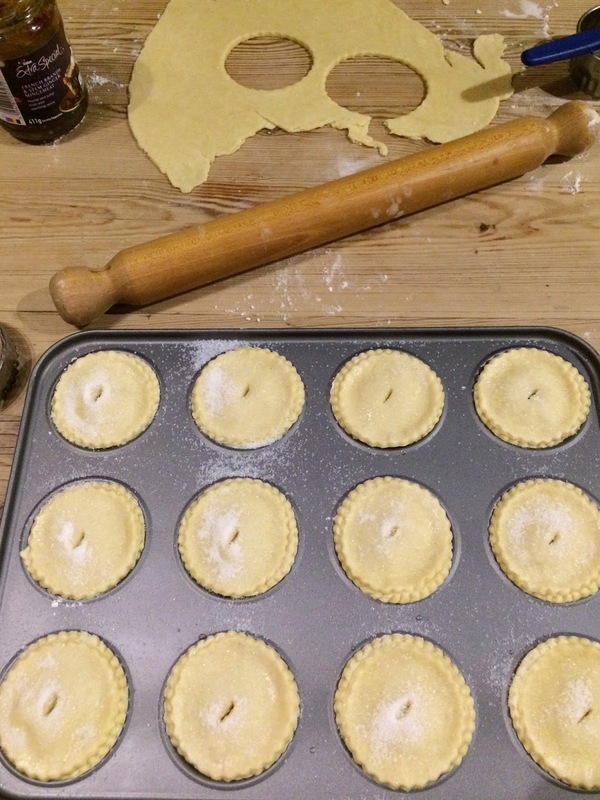 And what's better than mince pies - homemade mince pies. This is my Mum's trusty recipe with a sugar topping to make them go extra crispy, buttery pastry and they're dairy free/vegan too! Delicious hot out of the oven with a dollop of brandy butter. For the pastry, first weigh out the flour into a big bowl, and then add the margarine to the bowl in cubes to make it a bit easier. Then rub the margarine and flour together, lifting your hands relatively high of the bowl. Do this until you have what resembles a breadcrumby texture. To bring the pastry together add some cold water a tablespoon at a time, apparently, it should be about 1 tablespoon of water for every ounce of flour which worked pretty close to me. You can alway add more if needed. To stir in the water, use a round edge knife to cut into the pastry and fold it together. After a while to comes together into blobs that just need to be squashed together. When you've got your ball of pastry, put a little flour down on a surface and rolling pin to roll the pastry without it sticking. I sort of eyeball how thin to roll it, but you don't want it too thick or thin. 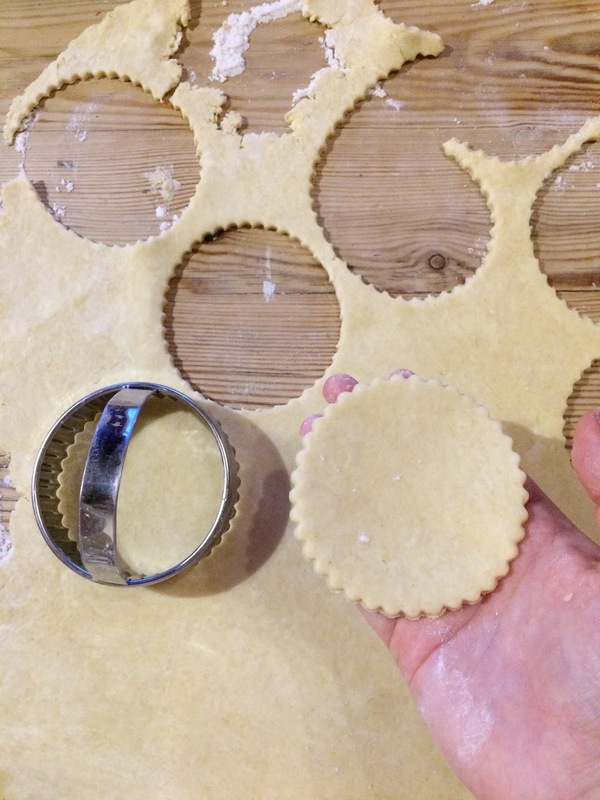 Using the larger cutter for the base of the mince pie, cut out 12 discs and place them in the bun tin. Once they are all in I gently press them down and fill with a teaspoon of mincemeat. Before rolling out the pastry again for the tops of the pies, I use my fingers to gently brush a little cold water around the edges. 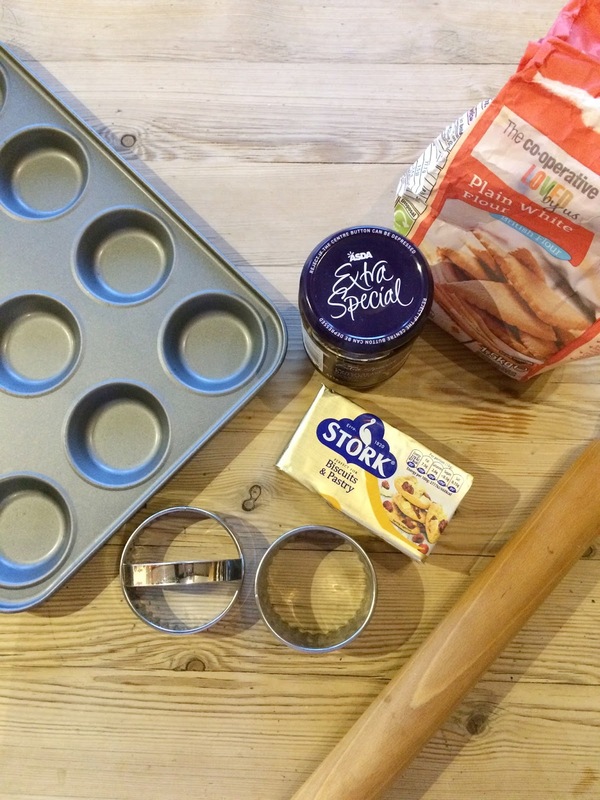 This just helps the tops and bottom pastry to stick together without the need for milk or egg. 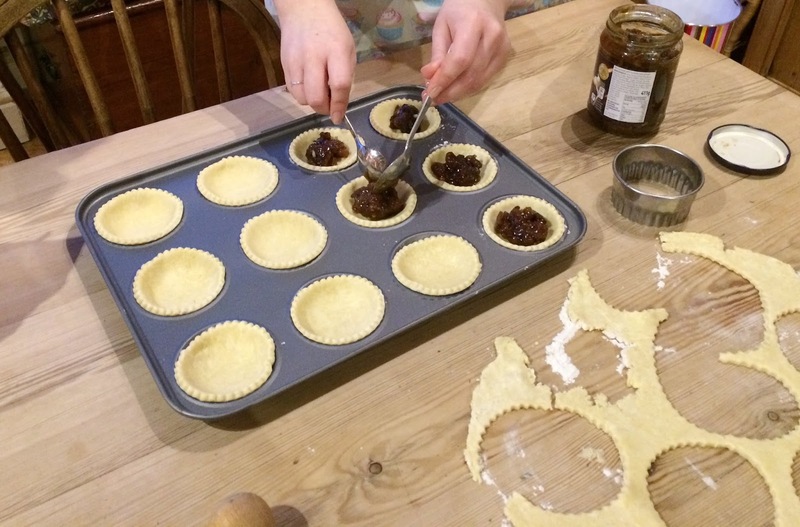 Once the pastry has been rolled out again, use the smaller cutter for the tops, gently placing them on top of mincemeat before pressing top and bottom layers of pastry together. For the topping, use a pastry brush to brush the pies with some water before sprinkling generously with sugar. This means the pastry goes extra crispy and again means you don't have to use egg or milk. Use a knife to create a little hole in the top to allow the steam to escape via whilst cooking. Cook the pies in a hot oven, preheated at 180 degrees for about 15-20 minutes, until golden brown. 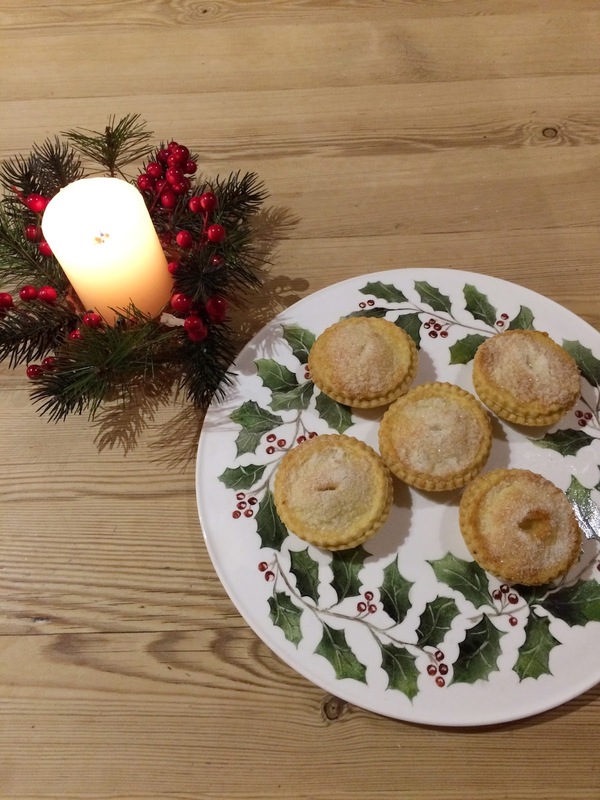 Now all that's left is to enjoy warm mince pies and relax. Will you be putting this recipe to the test?